I walked into my local Cash Converters and spotted this wee beauty. 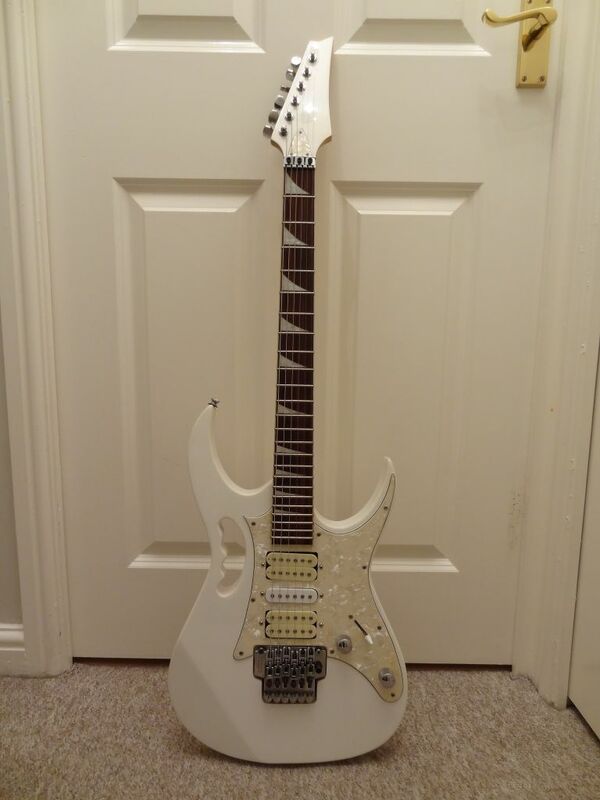 It fit my bill as it was white with a rosewood neck. 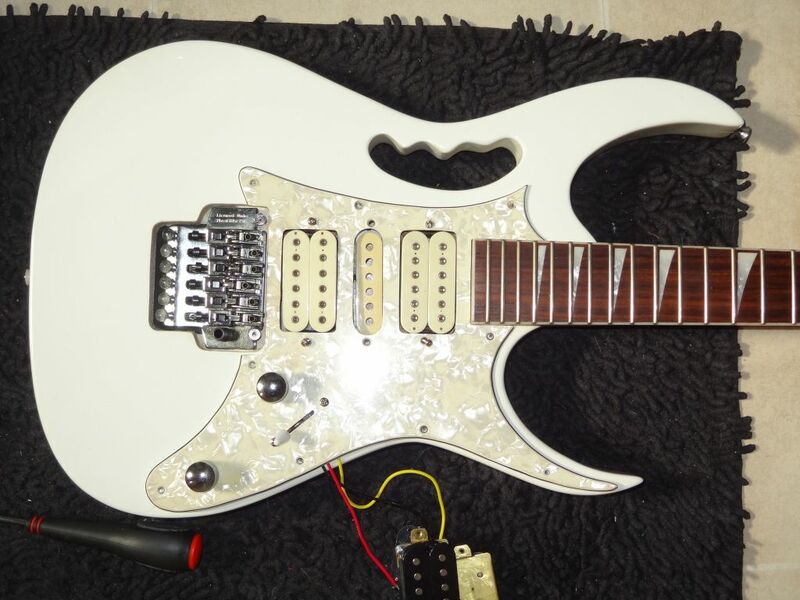 It had the name Hudson on th eheadstock in letraset which was easy to remove. Not sure if this is a brand name or the name of the original owner. 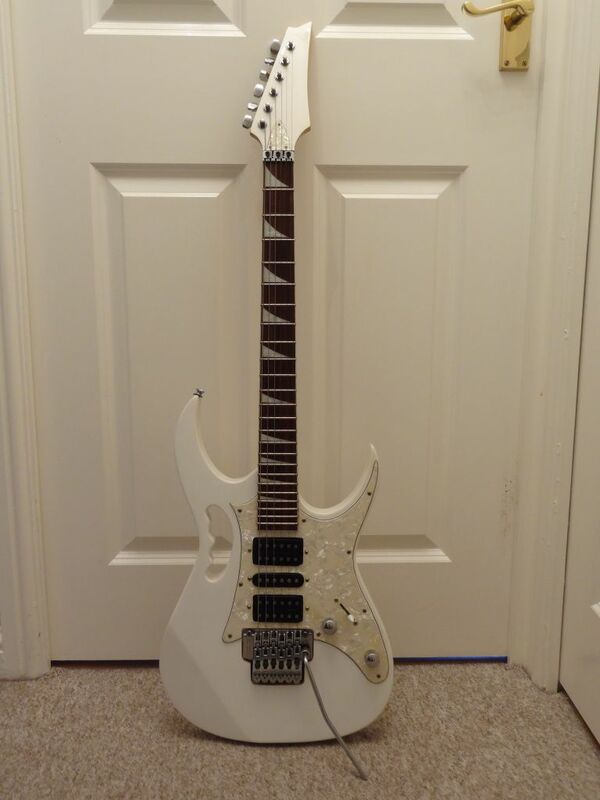 I think it is an Indian copy of an Ibanez Jem 777 (or was that the 7 string version?. 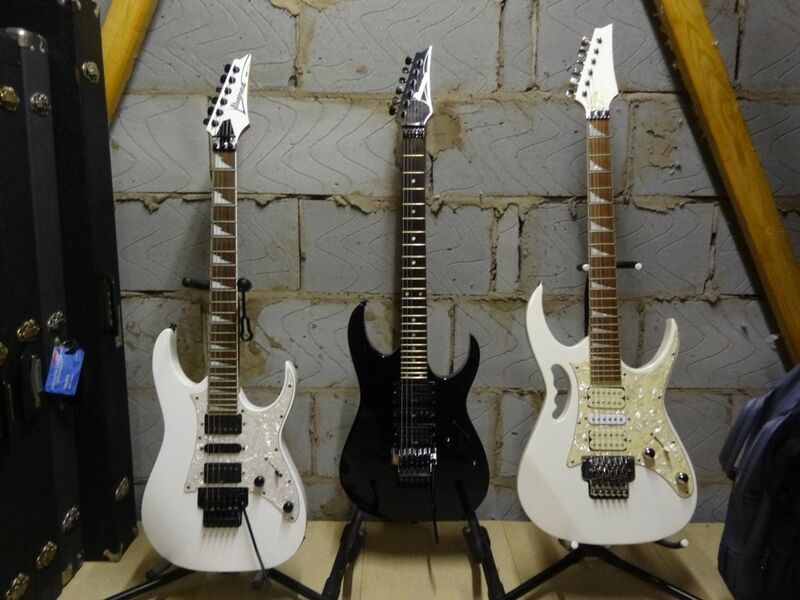 I had heard that these were very poor however the neck felt nice, the action was fine and the trem pretty solid. The rosewood was parched so I used lemon oil and gave it a general clean. That's quite a respectable looking plank. Hudson is Crane's Music Store's own brand. 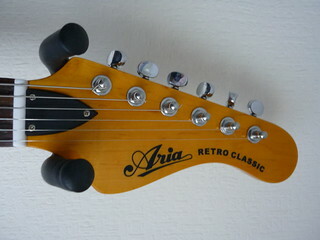 My Aria retro 1532 has a dry transfer headstock logo like the old Letraset. I scratched the 'S' off the end of 'classics' with my fingernail. I was surprised to see it on an Aria as I don't think it's very durable. I remember making gig posters years ago using Letraset sheets and you had to fix it with a special spray to stop it rubbing off. Ta for the head's up. 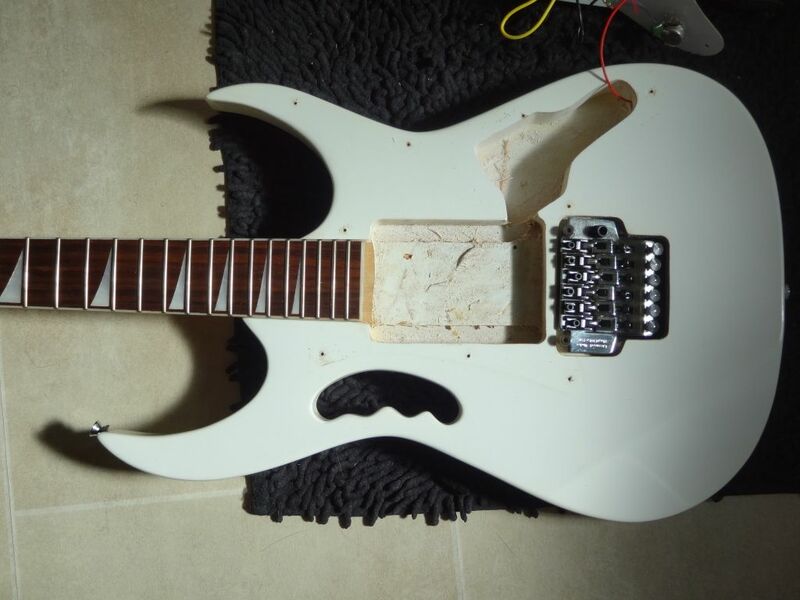 I've only heard good things about Hudson/Cranes guitars. What sort of price did you get it for Iain?